What is inside the "cheapo" 40A simonk ESC ! Last post I have talked about my first tricopter which was made long time ago from 2012. Then I planed to make another one, but this time I intended to make a quadcopter. 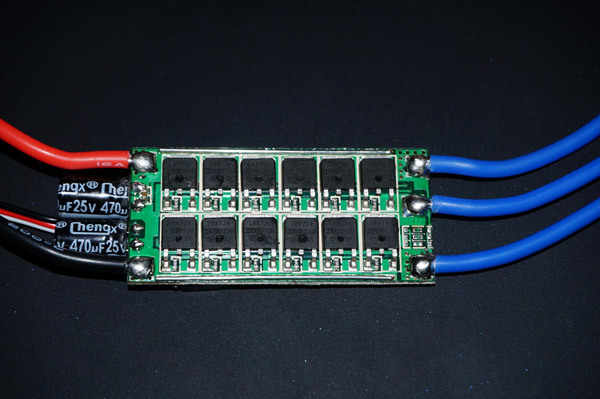 So I started looking for some ESCs (Electronic speed controller) online. 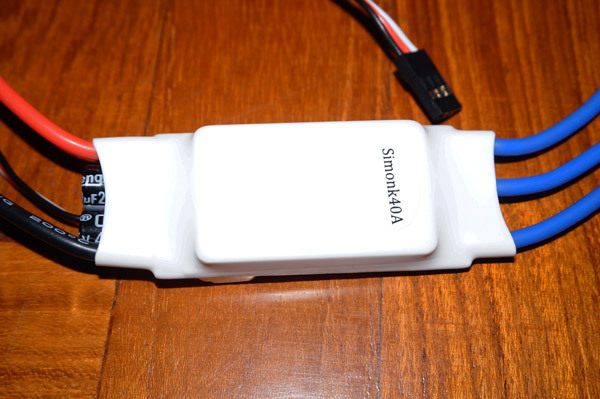 Since having some experiences from the tricopter, I’ve tried to search for some pre-loaded Simonk ESC that I don’t have to load the simonk firmware again as it’s quite messy. Once wandering around on Ebay, Aliexpress and some other online market places, I found some really cheap simonk pre-loaded ESC and decided to try one. So I’ve bought one of this ESC to see how good it is before buying more for my quad. The price was US $10.66 with free shipping including tracking number, great deal, a bit cheaper than similar one on Ebay. After about 2 weeks, it was delivered to me and I had some times to play around with it before tearing its cover down. I tested with some motors and it performed well, fast responded, nothing appeared to be bad. After testing it all, I decided to remove the cover to see what is really inside and how good are all the components inside this cheapo ESC. Extreme low output resistance, super current endurance. 3 start modes: Normal / Soft / Super-Soft, compatible with quadcopters and helicopters. 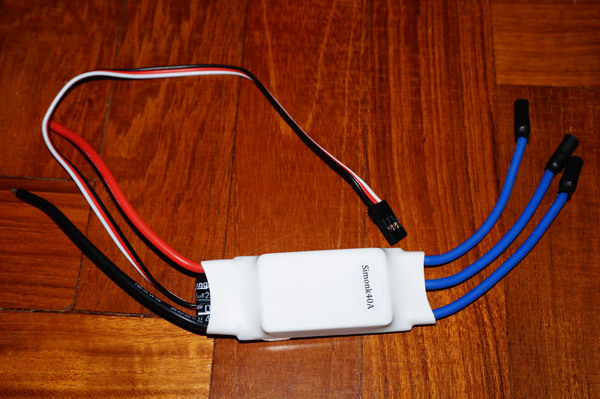 Throttle range can be configured and is fully compatible with all transmitters currently available. Output:Continuous 40A,Burst 58A up to 10 Seconds. Input Voltage:2-6cells Li-Po battery or 5-18 cells Ni-MH battery. Dimension : 28 mm (L)50 mm (W) 9 mm (H). 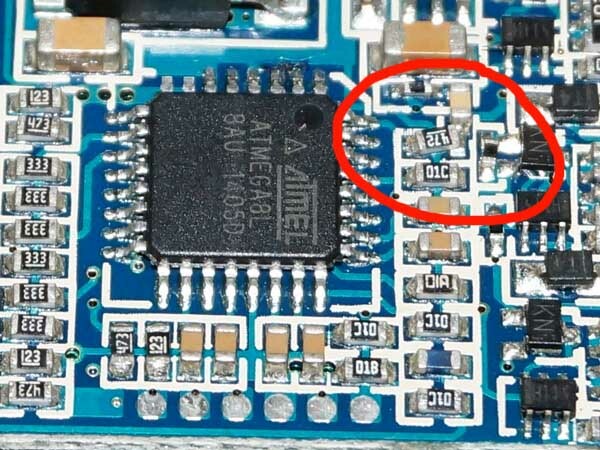 Let’s discuss about the Input voltage first: we can see the LM2596, which is a 3A, high voltage input switching regulator appears here combining with the 33uH 3A inductor. 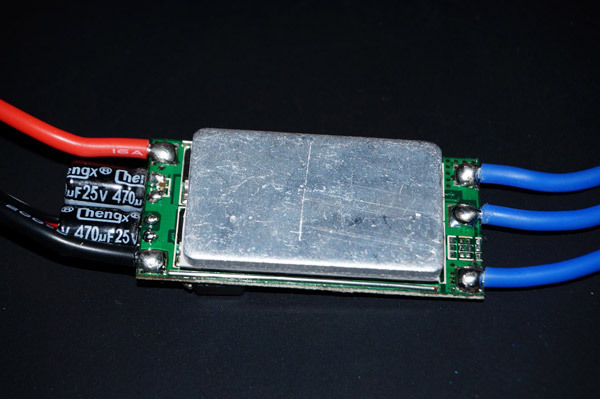 So, it’s correct with the input voltage, can easily handle up to 6S Lipo. 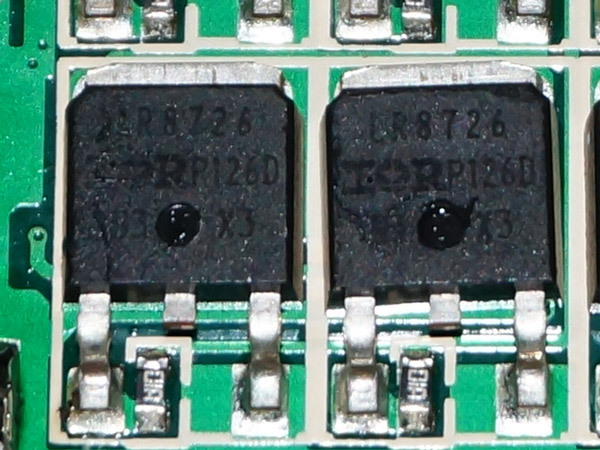 Next, regarding the *Output current: *Clearly we can see they use IRLR8726 which is N-Fet with 50A limit current and each phase they used 4 of it, 2 for high-side and 2 for low-side. That means it can handle 40A output obviously without being damaged. For the protection features: After checking the whole board, I am sure that it doesn’t have any type of temperature sensor so that the over-heat protection is not available. 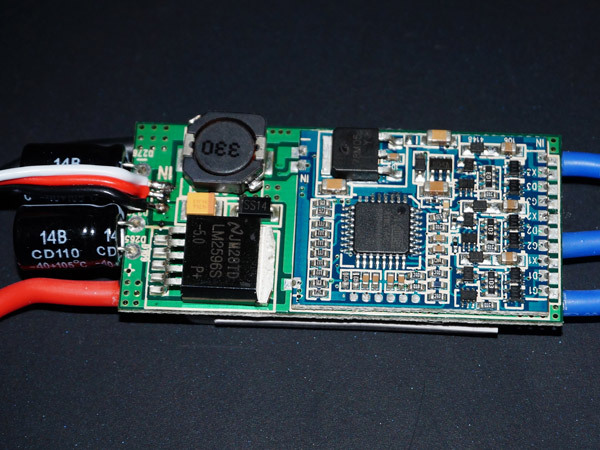 Overall, the advertisement for this ESC is correct and I’ve placed an order for 4 more. 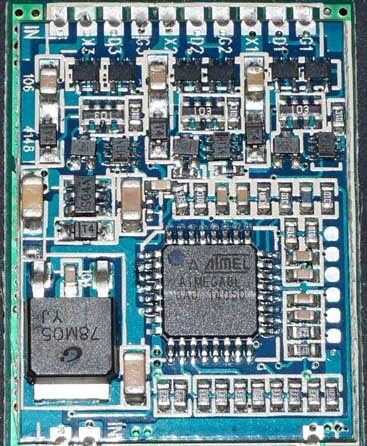 However, what makes me unsatisfied about this ESC is that it doesn’t have the external crystal oscillator and some misaligned components on the board. Anyway, with this price, it is acceptable for such quality.